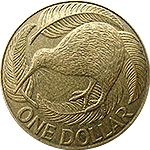 How to make money on New Zealand Dollar? Are you got used to think that the major pairs are the most volatile? Changing your habits may be profitable! In our terminal you can find more than 60 instruments with high volatility, which are more profitable than the majors. Thus, in the current month, as well as in the past one, the most profitable instrument is a pair the Euro (EUR) for the New Zealand dollar (NZD). Make yourself sure with a simple example! Let's assume that the balance of your account is $10 000. Having opened a position with EURNZD which volume is 4.54 of lot , for last month you would get profit in the amount of $37 673. Under similar conditions, the pair EUR USD you would get only $ 7723, which is almost 5 times less! Use our Forex heatmap as an assistant, choose the most beneficial instruments and start trading EURNZD right now! How to get up to $ 10 from each lot? Get ready for incredible no deposit bonus! We give you 500$ to test “FreshForex”!